I found another online community that I can use to help further my knowledge of teaching. The name of the group is NGSS which stands for Next Generation Science Standards. This one has to do with Biology teachers that are primarily in high school but there are some info and lessons that would fit into the middle schools easily as well. 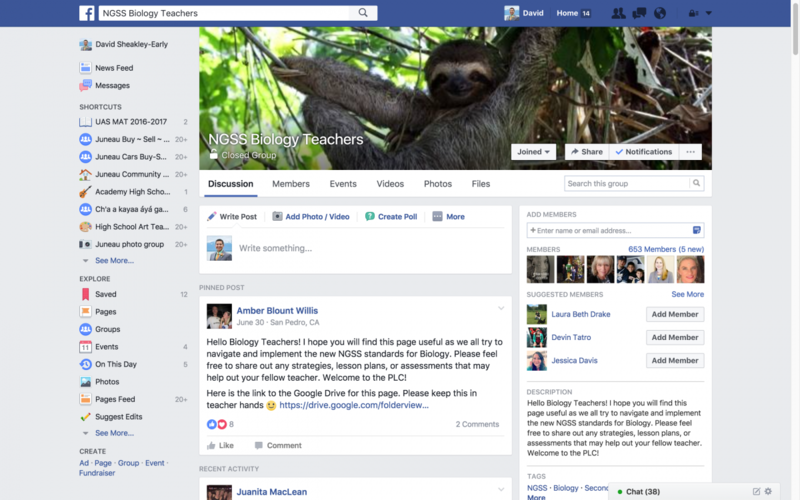 Within the group, there are biology teachers from around the country that help each other with standards, lessons, ideas, textbooks, labs, and lots of other great resources. I find this very helpful for as a new teacher or a teacher that wants to mix things up and add different material. I plan on asking questions and then helping others when I can as I learn more. This expands the learning community from just the school and town that I live and teach in, to a much larger scope of assistance. As a new student teacher in the MAT program, I looked around to find some help with ideas in the classes that I teach in. 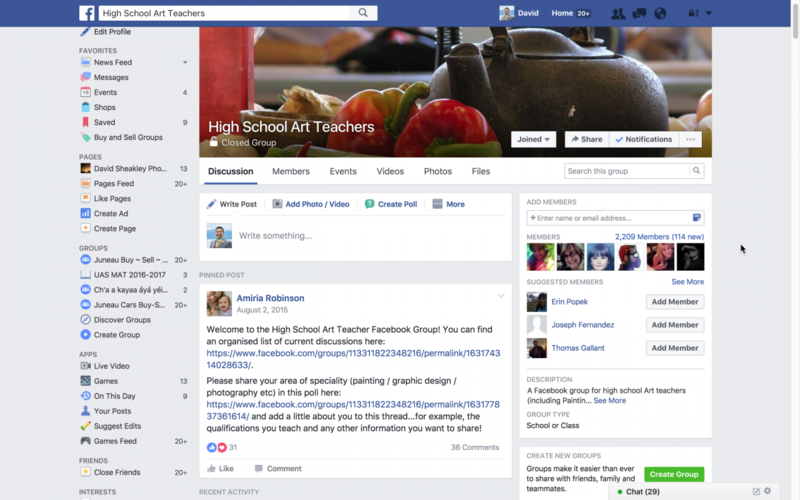 One place that I found some inspiration that I could use is a facebook group for high school art teachers. In it, there are a couple thousand members from all over the world that give advice and tips on art projects and classroom management. It is also a place that one could post a question and get great feedback from some experienced teachers. So far it has been great. I plan to try some of the ideas and later in the future I will give back some tips that I develop in my classroom. In addition, staying in touch with others in the teaching field and same discipline just makes sense. The more one can collaborate with the wisdom of the masters, and stay up to date with any new ideas and development, the better our students will benefit. A) Create: A student should be able to imagine and develop artistic ideas and work. B) Present: A student should be able to interpret and share artistic work. C) Respond: A student should be able to understand and evaluate how the arts convey meaning. D) Connect: A student should be able to relate artistic ideas and work with personal meaning and external context. 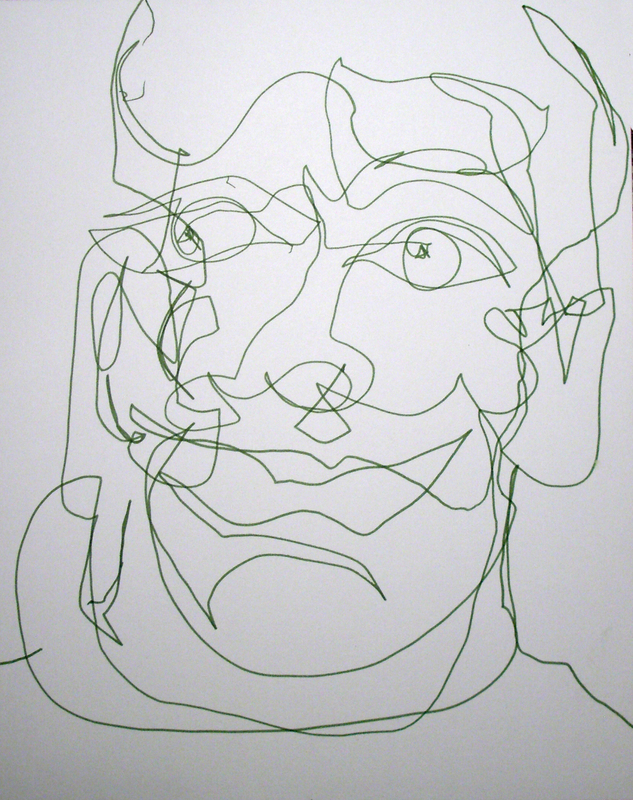 Last week in drawing class we worked with student on something called ‘blind contour drawing.’ Students could only draw while looking at the object and not looking at the paper. In fact, artists were not allowed to look at the paper while drawing at all for the first couple of days. Eventually, they could look only for a brief second but had to stop drawing if they looked at the paper. This exercise enables students to focus on the object and not make up what it looks like. They each slowly trace with their eyes around the contour of the subject and slowly make one continuous mark on their page. This allows them to get rid of any preconceived ideas of what a hand looks like or what an eye looks like. The student only draws what they see. In this project, artists are not allowed to look at the paper while drawing. They can only draw while looking at the object and thus not on the paper. After they create their artistic works, they each had to show their final work to the class in a “gallery” style show at the end of class. By doing this project, students can relate to things that are real versus things that are perceived or imagined. An artist must be able to see what is actually there in order to create what is in their mind. 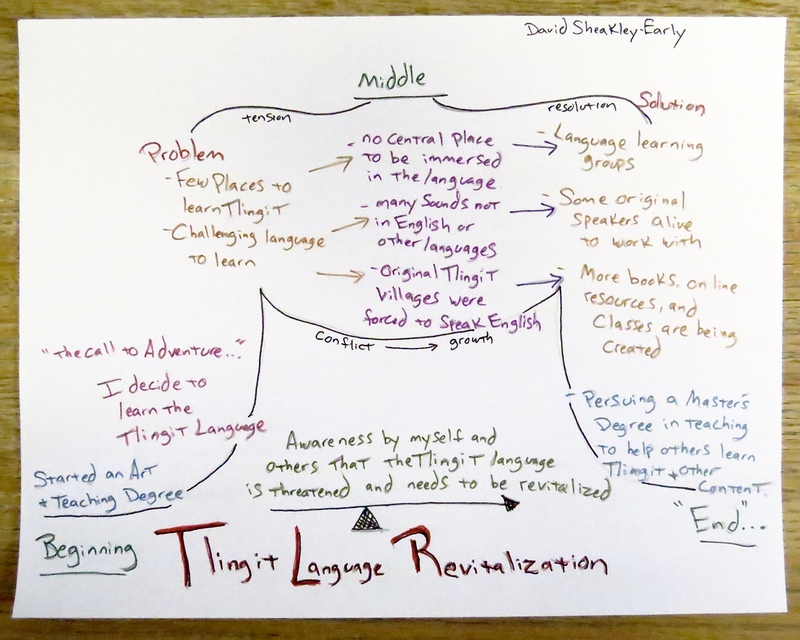 Visual Portrait of a Story: Tlingit Language Revitalization. 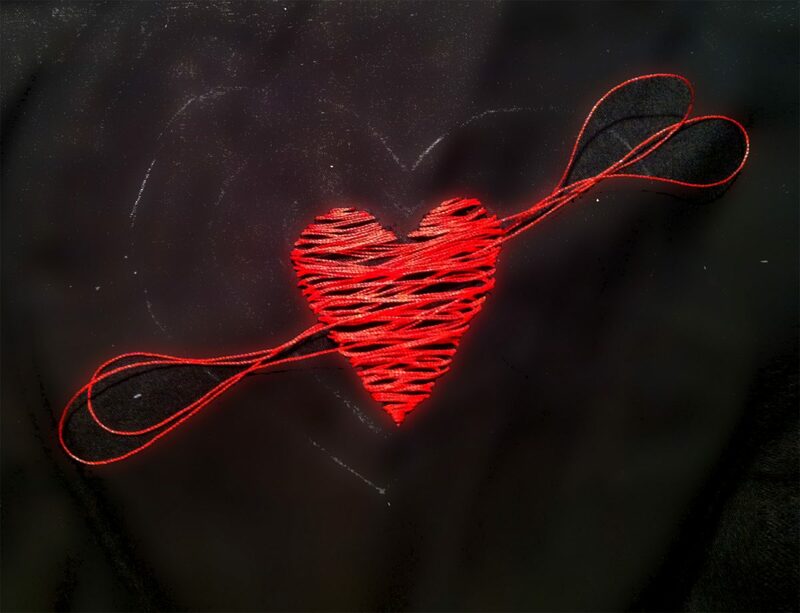 This is a draft of a Visual Portrait of a Story for the MAT Education Technology class. This will ultimately be turned into a digital story and published on the web. Blog #1: What are examples of place-based and culturally responsive curriculum/instruction at your school? In certain areas in the school, there are Tlingit words posted in areas that people can see read for an object. Other areas, like the lunch line, have the phrase “I’m hungry” in Tlingit. As a student, the Parker Palmer post reminds me that there is so much that is connected and intertwined with the class work that we do and the work that the teachers do. This connectedness reaches out past the student and teacher and beyond the school. It flows into the families of the students and teachers and into the community. teaching and learning can be like a weed that runs rampant into the fields and crops. This spreading, however, can be a positive thing because it encourages others that interact with the learning to do the same thing. There are teachers that I’ve had in the past that remind me of this passage from Palmer. Mrs. Kent from high school put in a lot for her students and it went beyond what was expected of her. She had done so much over the years that I’m sure her heart was pulled and broken many times. In the future, I hope to tie together the students that I work with and the school and community that they are from. I know that I am bound to break my heart from the work that will be going into the students and the students that will affect me emotionally. I very much enjoyed this class and the approach that was taken. I did not know what to expect when I started the program and the class and I was happily surprised. I hope that all the other classes take this approach but I won’t hold my breath. I learned by example and from doing. This makes everything more concrete and enjoyable. I will definitely employ project-based learning with as many lessons as I can. I think that it is a more powerful method than the memorize and regurgitate method. I am sold. 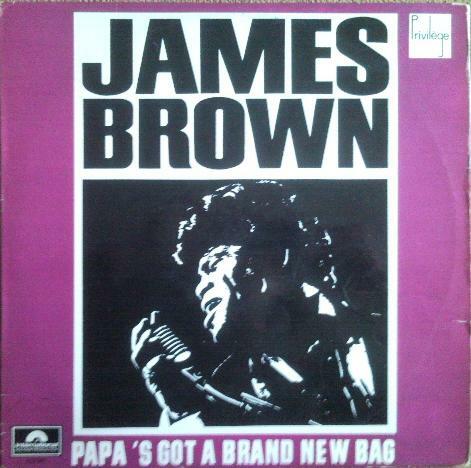 Papa’s got a brand-new bag and new style of teaching. I think it’s going to be a hit and top the charts with the students.